Tule Lake Segregation Center - Explore! 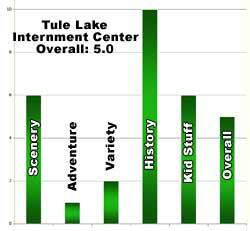 Tule Lake Segregation Center - Explore! History of Japanese Internment . . .
On December 7, 1941, the Imperial Japanese Navy attacked Pearl Harbor, a major U.S. naval base located in Hawaii, and the U.S. entered World War II. With Japan as enemy number one, people of Japanese descent living in the United States suddenly became suspect. So much so, that on February 19, 1942, President Franklin D. Roosevelt signed Executive Order 9066. The order authorized the U.S. military to arrest Japanese American families living on the West Coast, entirely without due process. Thus began a mass incarceration or internment program that targeted over 110,000 persons of Japanese ancestry based on the false claim of military necessity. The Tule Lake center was the largest of 10 camps where these people were held. By April of 1942, the camp was under construction. It opened on May 26, 1942. Initially it was termed a relocation center. In 1943, it was converted to a high security segregation center and used to house people who answered no or refused to answer two questions on a loyalty questionnaire – a questionnaire provided to no other American citizens. At one point more than 18,700 men, women and children – mostly U.S. citizens – were held at Tule Lake against their will. Life continued. Before the camp was finally closed on March 28, 1946, 1,490 babies had been born and 331 people had died there. Whether you refer to it as a segregation center, relocation center, internment camp, concentration camp or prison, life at the center was unpleasant at best. In the summer temperatures rise to over 100°F; in the winter temperatures can reach -20°F. Camp residents lived in uninsulated wooden buildings. In the summer they worked nearby fields to grow their own food. In the winter, they tried to survive. After the camp was closed, the buildings were given to homesteaders in the area for the cost of moving them. Many remain in use as sheds and outbuildings around the area today. The World War II Valor in the Pacific National monument was created on December 5, 2008. The monument includes five sites in the Pearl Harbor area, three in the Aleutian Islands and the Segregation Center at Tule Lake. This site was added to the monument to bring increased understanding of the high price paid at the hands of their countrymen by some Americans on the home front. The monument site encompasses the original segregation center’s stockade, the War Relocation Authority Motor Pool, the Post Engineer’s Yard and Motor Pool, a small part of the Military Police Compound and the sprawling landscape that forms the historic setting. The segregation center site is presently a mix of federal, state, and private land. On private land, the Flying Goose Lodges subdivision of the town of Newell contains 44 original buildings and the original industrial area includes five of the original factory and warehouse buildings. Newer buildings on the site, not related to the center, include homes constructed for farm laborers in the 1950’s, a school, and some industrial buildings. The photo below was taken on June 7, 2010, it shows approximately the same scope as the photo above. Exploration of the camp begins with the museum at the fairgrounds in the community of Tulelake, about 10 miles north of the Internment Center. The museum offers extensive information on the camp and life there, as well as a guard tower and other artifacts from the center. The National Park Service has an office there. On the day of our visit Lily, an interpretive volunteer, offered us a tour of the original jail. The jail can be seen at right of center in the above photo under a newly constructed protective roof. The angle for the historic photo is a bit different, but you can see the stockade and jail in the lower right corner, with guard towers surrounding it. The jail is a reinforced concrete structure. The windows that were once barred are now boarded over. The walls are cracked and deteriorating. Cell doors and most heavy metal items have been removed for scrap. There are cells to the right and left of the entry area and an interrogation room that opens into the entry area. In the back of the jail is an open area and an area for guards to bunk in. The back of the jail exits onto the area once surrounded by a stockade and guard towers. A cell is shown here. The metal brackets on the wall once held cables that supported the bunks the prisoners slept on. Some of the prisoners wrote on the walls. The inscription below echoes a sentiment felt by all detainees at the center: “Show me the way to go to home.” To them, ‘home’ didn’t mean Japan, but rather San Francisco or Seattle or any of many cities on the west coast. The sense of history, grief and hardship are strong here. One hundred and ten thousand U.S. citizens forcibly rounded up and taken from their homes, jobs and businesses and incarcerated in far away places where they had to endure indignities as if they were criminals. Detainees tried to maintain their families and communities in these harsh conditions. They created schools, worked in the fields and provided a wide variety of services to each other as shown in the photo. Notice the smiles on the ladies who worked in the barber shop. Certainly not smiles brought on by their situation, but smiles demonstrating the strength of character they brought to the circumstances. There are no fees associated with the National Monument. The monument office is in the Tulelake-Butte Valley Fair office, as is the museum. It is open from 8:00 am to 5:00 pm from Memorial Day to Labor Day and tours of the jail are available upon request. For more information: Phone 530-260-0537. The Monument is located about 35 miles south of Klamath Falls, Oregon and about 10 miles south of Tulelake, California. Note that the route to the Monument is Highway 39 in Oregon and Highway 139 in California. There is a rock and concrete historical marker, placed in 1979, right on the highway in front of the jail. Unless you arrive when a tour is underway, the parking area for the jail will probably be closed. Your best bet is to stop at the museum in Tulelake first, to make arrangements for your personal tour. The National Historic Landmark Nomination Form for the Segregation Center provides information about the condition of the site and each of the associated buildings. The detail gets to the level of listing all of the graffiti from the jail walls. In addition, it includes a great deal of historical information about the entire Japanese internment episode including the politics preceding executive order 9066 and the mass arrests, life at the camp and efforts to separate the loyal from disloyal internees. It’s must reading if you really want to appreciate the history behind the Segregation Center. 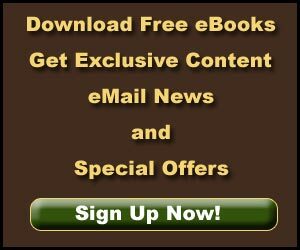 Click the above link to get the report in PDF format. Also check out the Park Service’s website. This place is all about history. The combination of the museum and tours of the jail bring that history to life in a way no textbook can. As the only center of it’s kind and the unique place it played in U.S. history we can only give it a 10 in the history category. By bringing history to life, it offers a great place to educate your kids outside the confines of a classroom. The displays and artifacts in the museum and the ability to step into a jail cell should be intriguing to many kids. Views of Horse Mountain to the east (seen in the photos) along with closer views of Castle Rock and The Peninsula to the west are truly cowboy country. The variety of things to do is pretty limited to the facilities offered and it’s not a very adventurous exploration – you can drive right up to the jail and the museum. Overall, we rate this place a 5.0 out of 10. If you have been there and would like to offer your opinion, please use the comment form below. My Father and Mother purchased property in the Flying Goose Lodge camp in about 1963. The Flying Goose Lodge was owned by Mr. Fletcher. Their purchase was a full block in that camp. The buildings on that property included, the Administration building, the Chapel building and the camp Maintenance building. All these being part of the original interment camp. Mom and Dad converted the Administration building into their living quarters and remained there until my Fathers passing in in 1991 and my Mothers passing in 1994. That building burned in a fire that was suspicious in nature in about 2005. My brother and I still own that property. Additionally, my brother purchased a building from Mr. Fletcher in 1965 that was known to be the camp Hospital building. He sold that property about 1978. It too has burned. My brother and I had discussions with the National Park service prior the them designating the National Memorial. They chose to not include our property. I have fond memories of visiting the historic areas that are in the surrounding area. I agree, the area does rate a ten, but the segregation center, by itself, doesn’t score on all counts. For links to many things to do in the area, hop on over to visittulelakecalifornia.com/. I would also up your “adventure” rating to 10. There is SO much to do in this area. I’m vacationing in the area right now, and between the Lava Beds National Park (which includes caves, lava formations, Captain Jack’s Stronghold, etc…), Medicine Lake, which is nearby, Crater Lake a couple of hours north, 4-wheeling, winter sports, bird watching, biking, hiking, fishing, biking, hunting … the list of things to do in the area is quite long. I do have video and photos of the Camp Tulelake, but have not yet gotten the story together. And, it is a different story involving the Civilian Conservation Corps, a detention facility for Japanese Americans and finally a prisoner of war camp. The story here is, of course about the segregation center. Actually, there are a few pieces of the segregation center left besides the jail. For example, the motor pool compound, a warehouse, a carpenter shop and lots of footings and other reminders of the center. I invite you to read the National Landmark Nomination Form for all the details then explore the area to see how they all fit together. The names in the area do get a bit confusing. Tule Lake is the name of the lake and the name of the segregation center, as you will find in all references to the site. Tulelake is the name of the town and the POW Camp Tulelake. Apparently they were named for their proximity to the lake and the town respectively. The two sites make up the Tule Lake Unit of the World War II Valor in the Pacific National Monument. My name is Craig Rissman and I own Eagle’s Nest RV Park located about 17 miles south of where the Tulelake Relocation Center was located. I would like to correct some information and perhaps add some clarity. First of all there were 2 “Camps” in the area. The big camp, called The Tulelake Relocation Center was located in Newell Californîa in Northern Modoc County. When I say in Newell I mean right in the little town. The other camp, known as Camp Tulelake was a POW camp with a number of German and Italian Soldiers and others held there. Camp Tulelake is about 10 miles from the Relocation Center. 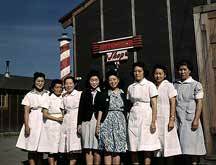 The Tulelake Relocation Center was where Japanese people who would not sign a form saying they would not respect the Japanese Emperor were sent. If you refused to sign you were called a “No No” and sent to this “Relocation” Internment Camp. After the camp closed the Barracks the people lived in were cut in half so they could be hauled on the highways. Other then the jail there is nothing left of the Relocation Center. Camp Tulelake, the POW camp is still standing and can be visited as part of the Lava Beds National Monument. As a matter of fact the buildings at Camp Tulelake were painted recently. Finally Tulelake is one word not two. The camp closed on March 28, 1946. Immediately after it closed, some of the barracks were used for migrant laborers and many of the buildings were given to local homesteaders. According to the National Park Service all the buildings except, apparently, those used for migrant housing, were removed by the end of 1946. The Military Police Compound did remain and was turned into the Flying Goose Lodges subdivision in about 1963. Perhaps it is this subdivision where you lived in the late 1960’s. I lived in this camp in the later 60’s. There was extreme animosity between hispanic and white with a broken up fence that segregated the two sides. Bombings happened, guns and crimes. Being the minority, white, we couldn’t walk outside when it started to get dark or some hispanics would try to run us over. There were broken windows and delapitated houses. Debri all around between the two sides. I think it has been improved on greatly I read that homesteaders took over this community after this camp was closed. Just saying these houses look better than they use to. They lived in squaller..
One of the outbuildings from the camp was moved across the street from where I grew up in Klamath Falls, OR. For a time it was used as a Baptist Church and then converted to a house. Do you have any information about when the internment camp was a minimum security federal prison during the early 1950’s? We used to live north by Bend, OR. How I wish we would have known about this internment camp. You see our American father met and married our Japanese mother and brought her to the USA in 1952. As young children of mixed race, esp 1/2 Japanese, I can’t tell you how much prejudice we were subjected to on the east coast, and our poor mother lived in much fear for herself and us. But I wanted to tell you that in the late 80s thru late 90’s we took our kids to Lava Beds close by the camp. We camped, fed deer by hand, went into many wonder-filled caves (spelunking), studied the Modoc history and star gazed in the clearest night skies. We saw coyote, owls, countless varieties of water fowl on the lake, and viewed where the Modoc tried their best to fend off the army (and almost succeeded). So I would raise your adventure rating to 10! The National Park Service reports about 300 deaths and 1500 births during the four-year life of the center. They don’t break deaths out by accidents, murders, old age or whatever. One agricultural worker was reported to have died when a truck rolled over. Others report one internee was killed by a guard and another was found murdered. Hi im doing a project on this and was wondering if you knew the number of fatalities that occurred in the segregation center. The phone number has been corrected. I also added the link to the Park Service website. Thank you so much for bringing this to our attention! The phone number for the Tule Lake Unit, WWII Valor in the Pacific is not 503-260-0537 it is 530-260-0537.